On the track, multiple graded stakes winner Nates Mineshaft was a versatile racehorse through 39 starts in nine seasons. Making his graded debut at age 5, the son of Mineshaft picked up three graded wins including a score in the 1 1/8-mile New Orleans Handicap (G2). The next season he won on the turf in an optional-claiming allowance, and made a start in the Arlington Million Stakes (G1T). In 2014 he placed in two dirt sprint stakes, and in 2015 he finished second to Private Zone in the seven-furlong Churchill Downs Stakes (G3) and ran third in the six-furlong Aristides Stakes (G3). Bred by Cobra Farm and racing for owner Windy Hill Farm, he retired in early 2016 with a 9-4-5 record and earnings of $858,975. After a failed try at stud—it was discovered that he was a cryptorchid after an attempted gelding, but he was unable to breed mares—Nates Mineshaft found a home with veterinarian Dr. Shannon Reed. "He's a little bit of a weird horse because he won a lot of different ways—he won on grass, he won on dirt, he won sprinting—he's been in a lot of different categories, down in the low-level allowances and up in the high graded stakes races. He's a horse that just has a huge amount of heart," said Reed, who works at the College of Veterinary Medicine at the University of Missouri and became acquainted with the runner when he needed rehabilitation work. "I kept in touch with the owners and followed along with how he was going and made it known that if he ever needed a home that we would take him. He was a special horse and so when it worked out that he wasn't going to be able to be a stud, and they didn't have a place for him at the farm, they asked us if we would take him." 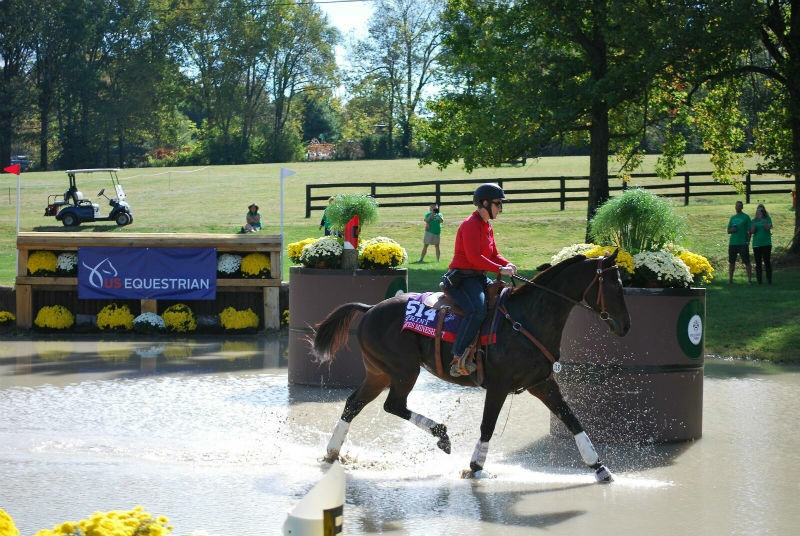 When Reed, who dabbles in low-level eventing, discovered that 'Nate' wasn't going to be sound enough to jump, she didn't want to miss out on the chance to take him to the 2017 Thoroughbred Makeover. So, the duo trained and competed in competitive trail, which was a new world for both rider and horse. "I just decided to not miss the opportunity to showcase this horse and so I decided to take up a new sport," Reed said. "It was a long learning process for me, we traveled to clinics and we went to different places around the U.S. that did competitive trail and we were probably on the trail for 200 hours. "We didn't do as well as we could have (at the Makeover) because I made some rider errors because I just didn't know the points system. I just thought because he couldn't jump that he needed a job. He's an amazing horse on the trail ... He's really good at taking out young horses, and they just follow him." While Reed doesn't see any more trail competitions in the future—she said 'Nate' doesn't think many of the obstacles are worth his time and effort—she enjoys riding him on the trail and telling his story. He also a budding dressage star (he won a few classes and was named high-point horse at a show), a "glorified waterboy" when helping Reed carry water to competitors at cross-country competitions, and serves as a guide to younger horses on the trail. "Everywhere I go with him people ask about him ... when I say what he is and what he did, they usually end up taking a picture with him," she said. 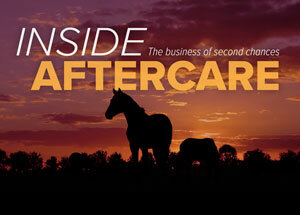 For Reed, this becomes a chance to showcase his usefulness and get others interested in Thoroughbreds. "I just think that he's a great ambassador for those horses who aren't 100% sound leaving the track, still having a really good place in the world and a use. That's why I think he's important. Just because (a horse is) not perfect they have a lot of things to still give. He's probably gotten a lot of people in the area interested in using Thoroughbreds for trail who were not thinking that," she said. "What 'Nate' has opened up for me is the possibility of that they don't just have to be sport horses, because he and I are perfectly happy going down the trail."